On July 2nd Prof. Edwin van Teijlingen will present findings from a HTA report published this month. Researchers from the University of Aberdeen, Bournemouth University and the University of Stirling examined the evidence for managing obesity in men and investigated how to engage men with obesity services. 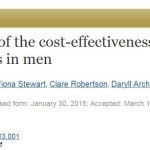 The evidence came from trials, interviews with men, reports of studies from the UK, and economic studies. The research found that men are more likely than women to benefit if physical activity is part of a weight-loss programme. Also eating less produces more weight loss than physical activity on its own. However, the type of reducing diet did not appear to affect long-term weight loss. Prof. van Teijlingen will highlight some of the key messages for Public Health policy and practice. For example, that although fewer men than women joined weight-loss programmes, once recruited they were less likely to drop out than women. The perception of having a health problem, the impact of weight loss on health problems, and the desire to improve personal appearance without looking too thin were motivators for weight loss amongst men. 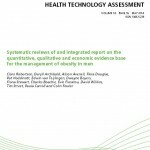 This work has been funded as part of the ROMEO project (Review Of Men and Obesity) by the National Institute for Health Research, Health Technology Assessment Programme (NIHR HTA Project 09/127/01). We hope you can make it and we look forward to seeing you there.